It's this every other week. 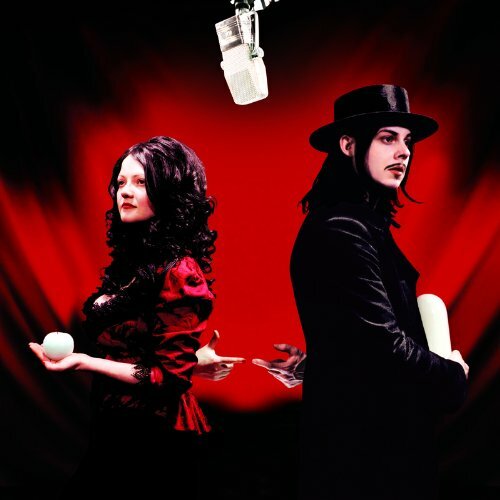 I love the White Stripes. Some people dont like them, but I do. They're different. For me its Pain of Salvation's "be"
I have been attempting to get someone to listen to this band, and hopefully discover the brilliance to which I have become quite obsessed. Anyone with even a fleeting interest in indie or whatever hybrid fusion of punk and art rock this album resembles will find something to enjoy in this album. From delicate lo-fi beauty to strange upbeat songs about tortoises, this album is simply put, amazing. So click on the title and download it. Now. Okay, so I don't know if anybody bothered to download Strangers From The Universe, or listen to it, but I'm not going to give up. Rodan basically expands on the blueprint Slint laid out on Spiderland - the same loud/soft dynamic, angular rhythms, half-spoken vocals, but they do add more complex melodies and actual singing. Basically, if you love Slint, you'll love this, and if you thought Spiderland was ok but was missing something, then this is worth checking out. If, on the other hand, you absolutely hated it, you probably just want to stay away. Its really good indie-emo stuff, and i've liked them for awhile but christtt these albums are good. just listened to this album today & i know im gonna be playing it a lot more from now on. definetely good pop-punk album with nice romantic lyrics in some of the songs. ive been listening to them a lot lately. i seem to be hooked. i saw them on friday, it was pretty fun. they have a new singer (who's way better), and theyre great live. I bothered with getting it. And I'll agree to it that it is a good album. A very good blend, and the turtle song (the name escapes me right now and I don't want to be bothered digging for it) is funny. Good album, I'll check this one out too. One of the most widely overlooked and influential bands of all time, This Heat were a British quintet who formed somewhere around 1978. Deceit, their second album, was recorded in an abandoned meat locker somewhere, and is one of the greatest albums to come out of the post-punk era. Falling somewhere in between the abrasive guitar experimentation of noise rock, the angular melodies of post-punk, and the hypnotic rhythms of Kraut rock, This Heat explored vast musical territories which were often not explored again for at least a decade. Some of the songs are just random recordings mixed togethers, others are bizarre sound collages, and once in a while you might get a song with a driving rhythm, melody, and Charles Hayward's bizarre sing/speech. Wire, Pere Ubu, Gang of Four, and Can fans should enjoy this. Why this album isn't instantly recognized as one of the greatest albums to come out of the 80's is a mystery.